Our latest Featured Speaker is Noelle Brennan from Noelle Brennan & Associates! We are excited to have Noelle speak for us at our upcoming Federal Court and Litigation Boot Camp in Chicago on April 6, 2018! Noelle has been a pleasure to work with while planning the program and we are excited to have her speak. 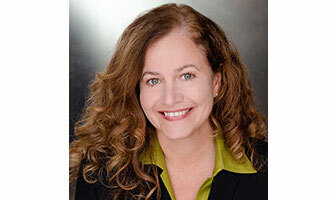 Called a “bulldog fighter for civil rights and fairness in the workplace” by The Chicago Tribune, Noelle Brennan is a veteran employment attorney and litigator with a long track record of success. A 1995 graduate of DePaul University College of Law, Noelle spent seven years as a trial and supervisory attorney at the Equal Employment Opportunity Commission (EEOC), where she litigated major class actions including EEOC v. Dial Corporation and EEOC v. Misubishi, the latter being the largest sexual harassment settlement ever reached by the EEOC. Noelle also served as co-counsel in a race discrimination case against Nike Retail Services, Inc. that eventually settled for $7.6 million dollars and in a disability and age discrimination case that resulted in one of the highest jury verdicts in an individual disability discrimination case in Illinois history. In 2005, Noelle Brennan was selected by a federal judge to monitor the city of Chicago’s compliance with the Shakman Decree. In that role she works with the city to identify, address and prevent employment discrimination on the bases of political affiliation. Noelle was recognized in Crain’s Chicago Business’ annual top “40 under 40” in 2005. This honor is bestowed each year upon 40 individuals who are “rising stars” in Chicago and under 40 years old.